Born in London England and raised to the beat of the Caribbean. The rhythm of Jamaica forever rooted in her soul; finally lead her back to her roots. 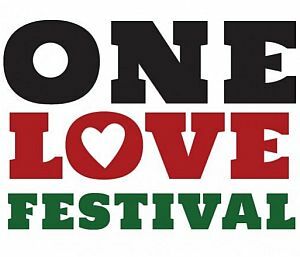 Helping to keep Bob Marley’s legacy alive, she performed with the remaining Wailers band; keeping roots and culture alive for the next generation. With music forever running through her veins, she writes and performs her own amazing music which combines traditional with non traditional. Askala is here to keep love alive, to keep music alive, and to keep JAH love alive. She has recorded, performed and shared the stage with some of England and Jamaica’s finest from, Curtis Lynch, Sugar Minott, Horace Andy, Etana, Andrew Tosh, Frankie Paul, Warrior King and Luciano. In 2005 she had the pleasure of touring Europe with the original Wailers Band in countries such as Italy, Spain, Hungry, Switzerland, and Sardinia. From this Askala excelled in all aspects of her music and gained experience 2nd to none. Askala then worked very closely with Karl Toppin one of the tour engineers for the Wailers, also known as K Big neck from; Big neck productions. They worked on her single ‘Faith’ which is one of the tracks on her EP Put JAH First out now!!. 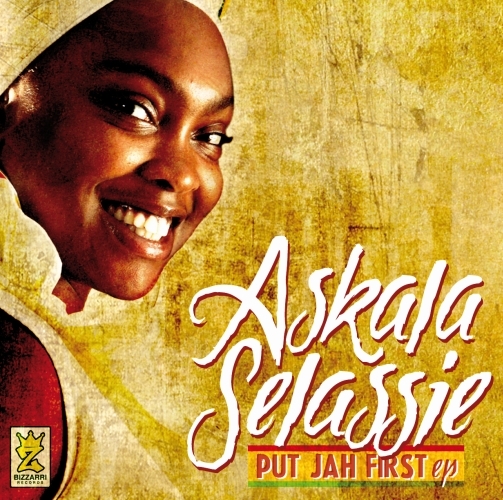 Askala Selassie recorded ‘Faith’ with Pinkney (from the Root Radix), and went on to record the video for Faith in Jamaica. The video was recorded and directed by Asha -Sling Shot Productions and One Locz Ras – Shac works. Askala also worked on a project called Reggae girls in Italy; this was with Steve Giant from Rastasnob. The compilation album was released in February 2008 featuring artists such as Zoë and Cecil. 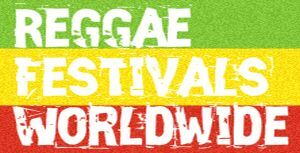 There was a 2nd Reggae girl compilation which was released in 2009 by Bizzarri records. Askala’s song is called ‘I love you’. This compilation featured artist like Lion D, Million Stylez, Mama Marjas, Brusco, I Octane and Ras Tewelde to name but a few. Askala is now working closely with one of the UKs best young producers Curtis Lynch, Necessary Mayhem; with their first tune released in March 2011 ‘Proud to be RASta’, on the Gorilla riddim. The compilation has had great reviews and has taken off; with artists such as Tarrus Riley, Makka B, Ziggi and Cali P.
Askala is now working with Italian producers Bizzarri records, and has released her first 7 track EP – Put JAH First July 2011. The EP combines outstanding pure vocals with the reality of life today, reminding us that reggae is music with a message. Her captivating and heartfelt lyrics have surprised and inspired many. Askala Selassie, this beautiful RAS TAFARI empress is here to spread JAH word to all through her music, which she has definitely achieved with this outstanding EP, a mix of consciousness, righteousness and love. It has been said that ‘This is no ordinary EP, but a super EP’. Askala Selassie had a very successful EP launch party in July 2011. She had support from lots of artist including Luciano, Prince Malachi, Savanna and Maxi Priest, who rates the show 9/10. Askala recorded the official Put JAH First video in Rome with Pierpaolo Ingrassia, a great director as is evident by the video. Askala Selassie and Bizzarri records are now working on the Album. Askala would like to give thanks to the ALMIGHTY for leading her through this path, and for filling her with eternal love, which she gives freely through her music. She knows that she has been chosen and sent by JAH to spread the word and to teach the world about RAS TAFARI. JAH Kingdom Come.